It took only one summer hit, Story of Yanxi Palace <延禧攻略>, to propel 28-year-old Wu Jinyan (吴谨言) to instant super stardom. After eight years into the business, Wu Jinyan can finally reap the fruits of her labor. 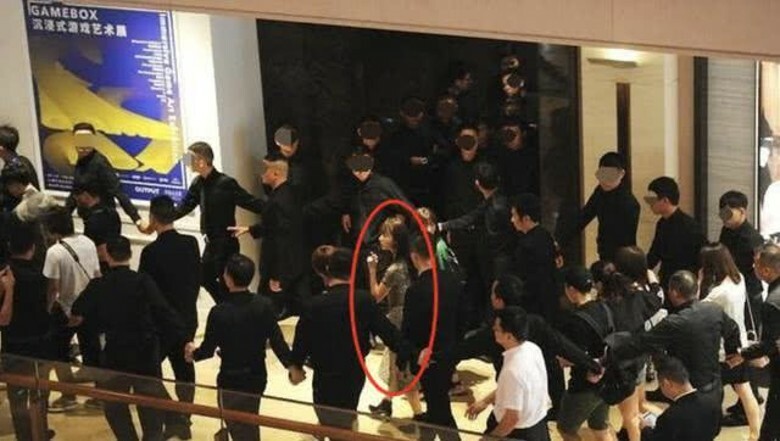 Wu Jinyan’s popularity is explosive, and at a recent public appearance, she brought along over thirty bodyguards to protect her. She also had six assistants with her, totaling nearly 40 people. The guards and her assistants formed a large circle around her as she attempted to navigate through the crowd. 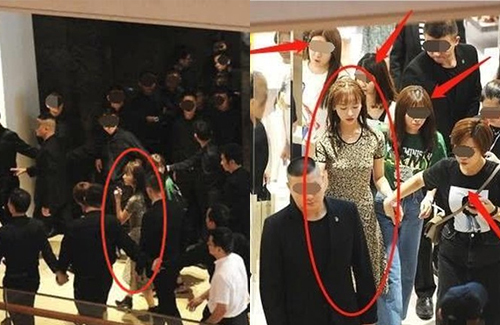 When those images were shared online, netizens immediately compared her to Angelababy, who has always been known for bringing bodyguards to wherever she goes. “She even has more bodyguards than Angelababy,” said netizens. Isn’t 30 bodyguards going a little to overboard?